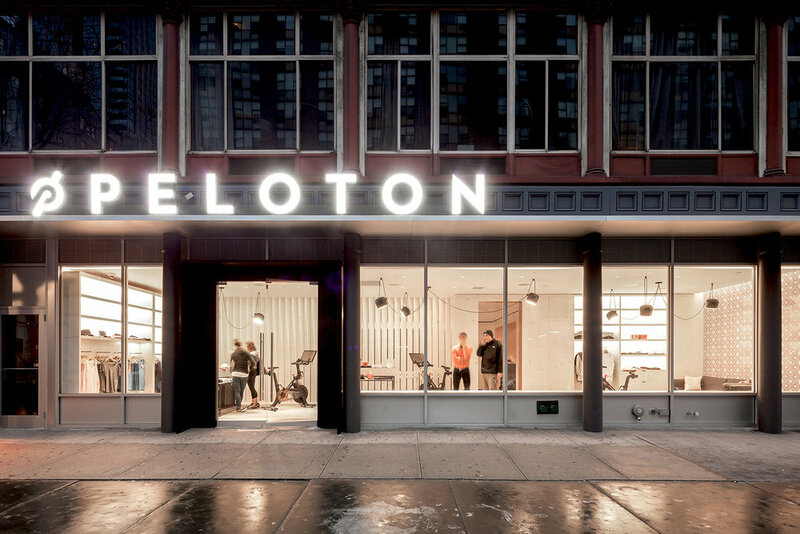 Peloton is a fitness company utilizing a flagship space in the Chelsea neighborhood of New York City as their front-facing retail presence and main production studio for distributed content. 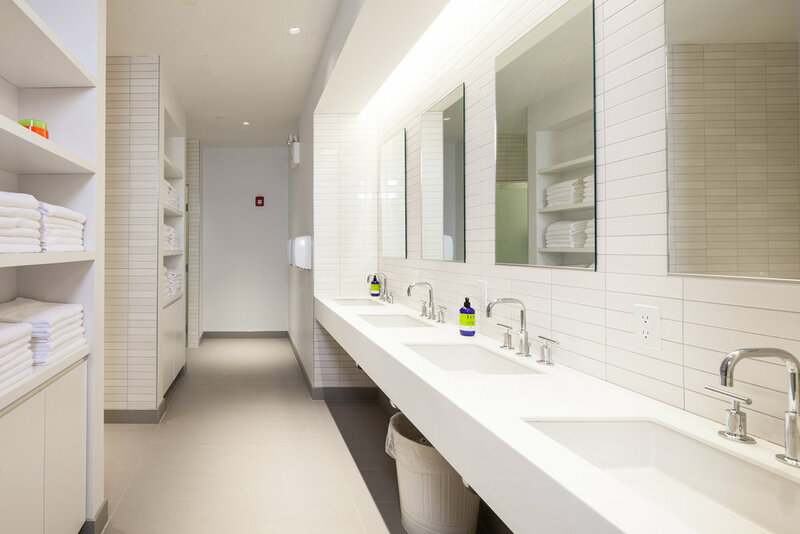 Containing a storefront retail shop, a lounge for Peloton members, a cutting-edge broadcast/spinning studio, and locker room facilities, this space is the nerve center for the company's worldwide transmission of spin classes. Remote users can take live or recorded classes, airing directly via the internet from the Chelsea location. Architectural elements within the store, lounge, and studio, are derived from the geometries of cycle design. A screen wall made of milled wood columns provides teasing views into the lounge space, and a series of compressing elements act as thresholds between the storefront space and the more private, exclusive club beyond. A map of the world (designed in collaboration with Dungjai Pungauthaikan) made of laser-etched steel receives colored magnets indicating locations of Peloton cycles around the globe. Architectural elements within the store, lounge, and studio, are derived from the geometries of cycle design.